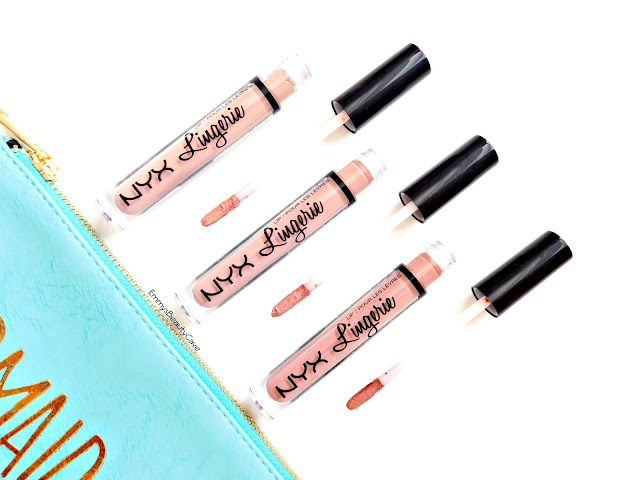 The packaging is simple and pretty as usual with NYX and I have to say my favourite part just like the NYX Suede Lipsticks is the applicator. Even though these are drugstore prices you get a high end wand. It is double sided and flat on both sides, these applicators apply lip products with such ease. When I first applied these I thought what am I doing wrong they looked awful!! They looked streaky and just a mess. The second time I applied them I used my Lush Cosmetics Popcorn Lip Scrub and then applied a lip balm. Once the lip balm had fully sunken in I applied these and they applied so much better. Due to these lipsticks being matte you do need to moisturise and prep your lips before hand if you suffer with dry lips. I love a matte lip but not one that literally dries out your lips. I do find these are extremely matte and on the drying side. I had to apply two coats to get the colour perfect with no patches and in the end the result looked nice but still felt so dry. I picked up Satin Ribbon, Lace Detail and Push Up. I absolutely love Lace Detail and Push Up. I find Satin Ribbon just washes me out as im quite pale and this shade is far too pale on me. They do wear well but I found you can't touch up on top as it will just look messy and start to crumble. I love lip products that allow you to touch up through the day if you need to. Overall I think if you love a extremely matte lip, very dry then you will love these. If you suffer with dry lips these are not for you. 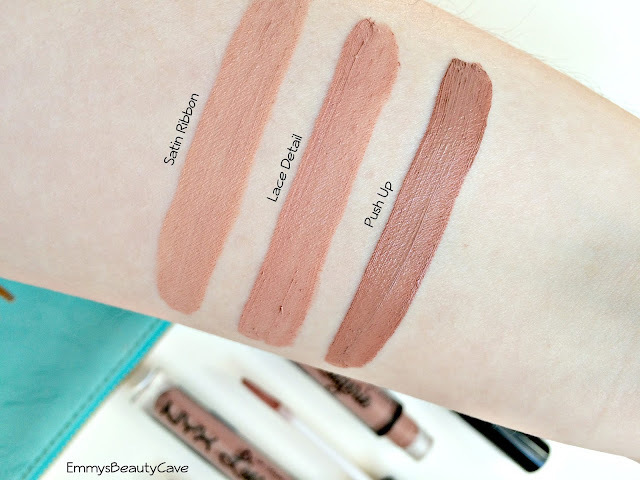 The NYX Suede Lipsticks more semi matte which I love! If you prefer a comfortable matte/semi matte these are not for you. There are other liquid lipsticks I prefer as they are much more comfortable to wear and take less effort, especially the Revlon Ultra HD Liquid Lipsticks (semi-matte) and the Gerard Cosmetics Matte Liquid Lipsticks (fully matte but not drying, very long lasting). Did you pick any of these up? Which is your favourite shade?